The afternoon was sunny and hot and I was working at one of the stops of our mobile farmers market at an apartment complex where a diverse group of seniors live. 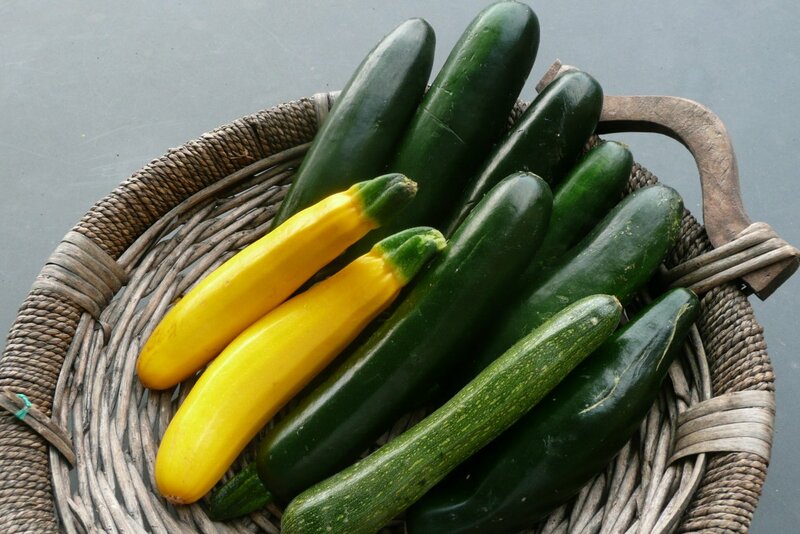 One of our clients came to our group and after checking all the products that were available for sale that day asked us the following question: What is a zucchini? According with his own words he didn’t know and has never tasted before. You can imagine our surprise! Zucchini is one of the most abundant produce during summer, and is one of those we eat as a vegetable when in reality is a fruit. Zucchini taste better when is about 6 to 8 inches long and 2 inches in diameter. When we buy it like that we can enjoy it when is tender and has a delicious flavor even if we eat it raw. You can shred the larger pieces and use them to bake zucchini bread and other bake goods. Zucchini, with its intense green color is an excellent source of fiber, vitamins A, B and C and other nutrients. One cup of zucchini has approximately 35 calories, making it a perfect addition to a healthy eating diet. Our friendly client left very pleased for visiting our mobile market that day. He left with a good supply of zucchini, learned something new about it and had the opportunity to taste one of our most popular recipes: Zucchini Italian Style. We invite you to prepare this quick and delicious recipe before summer goes away and take advantage of the plentiful zucchini at its best! Enjoy! Wash hands and assemble clean equipment. Heat oil in skillet. Add onion and zucchini; stir-fry for about 1 minute. Add tomatoes, Italian herbs, salt and pepper and bring to a boil. Cover and steam 4 to 5 minutes or until zucchini is still slightly crisp.Stir in cheese and stir-fry for about 30 seconds. One of the most significant sources of antioxidants in the human diet is onions, reports Cornell University Associate Professor Rui Hai Lui. These antioxidants provide this vegetable with its sweet flavors and distinct aroma. 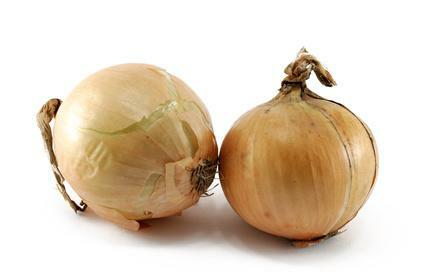 Consuming onions supplies your body with soluble fiber and flavonoids, antioxidant compounds that fight free radicals. These flavonoids assist in thinning your blood, decreasing inflammation and fighting cancer. The Western Yellow type contains 11 times more antioxidants than the Western White type and provides the strongest protection against the production of liver cancer cells. The Western Whites contain the least amount of antioxidants among onion varieties and offer the least protection against cancer cells. Shallots, Western Yellow, Northern Red and pungent yellow onions assist in inhibiting the growth of cancer cells, which may protect against the development of colon and liver cancer. Inflammation in your body can cause and exacerbate symptoms of asthma, arthritis and heart disease. According to a 2010 study published in “Molecular Aspects of Medicine,” regular consumption of organosulfur compounds from onions and garlic can prevent the development of cardiovascular disease. Onions may assist in thinning your blood, as they contain thiosulfinates – the agents that provide an onion with its pungent odor and cause teary eyes when you come in contact with this vegetable. Additionally, this sulfur compound prevents platelets in your blood from aggregating and operates as a natural blood thinner. When platelets cluster in your blood, your risk for experiencing a stroke or heart attack significantly increases. Eat your onions raw for maximum thiosulfinate content, as cooking onions significantly decreases the quantity of this compound. If you take a prescription blood thinner, consult with your physician about consuming onions in conjunction with your medication, as you do not want your blood to become too thin. Onions also contain a special form of soluble fiber known as fructan. When you consume fructan, this soluble fiber turns into a gel-like substance in your colon and converts to fatty acids. These fatty acids act as a natural laxative, stimulating bowel movements. The fructan in onions, inulin fructan, promotes the growth of good bacteria in your intestines, which may combat any infections in your colon. So, what do you think? I think onions are amazing! Prep aring and eating meals at home is an important step toward eating healthy. 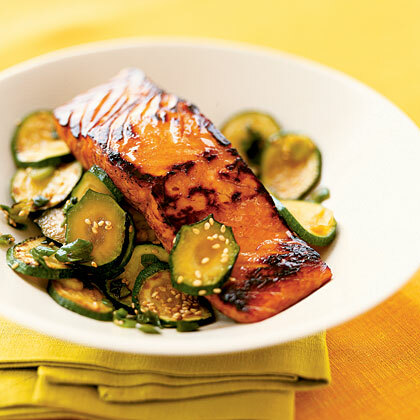 You can have easy, quick, and healthy meals at home. Just keep it simple with these four steps: Plan, shop, fix, and eat. Keep a list of the things your family likes to eat. Set aside 30 minutes to plan for the next week. Make a list of the main dish and the side dishes that you will serve for each day of the week. Select recipes that have few ingredients and that use quick cooking techniques. Post the menu on the refrigerator. Get input from your family members. Use your list of everyone’s favorite foods, including main dishes, salads, vegetables, fruits, and desserts. Look in cookbooks, newspapers, Web sites, or magazines for quick main dish and side dish ideas. Add them to the list. File recipes in a file, box, or loose-leaf notebook. Shop regularly, whether once a week or once a month. This saves time, gas, and money. In-season fruits and vegetables are less expensive and taste better. Visit local farmer’s markets or farm stands for lower prices and better quality. Stick to the list. You are less likely to overspend and less likely to forget ingredients you may need for your week’s menus. Don’t shop hungry. Eat a snack, or go shopping after eating a meal. Get the kids involved by letting them choose a new fruit or vegetable that they’d like to try or an old favorite. Wash and prepare fruits and vegetables in advance. Make extra of a main dish for another meal. 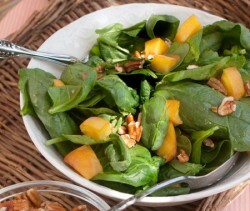 Add a favorite canned or frozen fruit or vegetable to any main meal. Check your meal plan each evening, and take out frozen meats the night before. Place them in a dish in the refrigerator to thaw safely for the next day’s dinner. Get the kids involved. Fixing meals can be fun for the whole family. 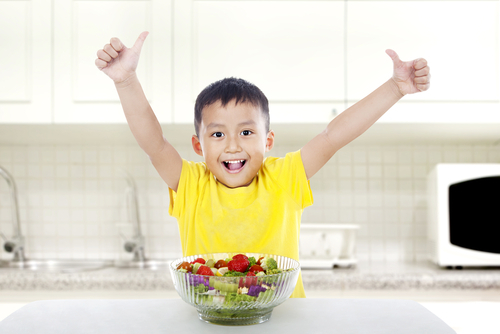 Children are more likely to try new foods if they help get them to the table. Safety comes first. Encourage good hand-washing. Eat together: Make eating together a family priority. Mealtime is a great opportunity for parents and kids to be together. Remember that kids often take more time to eat than adults do. Take your time through dinner, and enjoy the extra few minutes sitting at the table before cleaning up. Turn off the TV: Turn off the television, radio, cell phone, and beeper so everyone can focus on the conversation without distraction. Let the answering machine pick up calls, or turn off the phone ringer to avoid dinner interruptions. Share events of the day: Ask each person at the table to talk about a fun activity or something good that happened that day. It is a wonderful time to catch up on special school events or achievements of the kids in your family. Make healthy choices: It is easier to make healthy choices when meals are prepared at home and families sit at the table together to share that meal. It is a good time to talk about and model healthy eating, portion sizes, and trying new foods. During a recent class with senior adults I had the opportunity to ask them about one behavior they changed related to their nutrition practices in 2014. After much of a discussion, the very bubbly Maria, remember one! Yes, she said, “I remember what you said about using garlic powder instead of garlic salt.” And why is that? , I asked. Well “We all know that we need to reduce the amount of salt we consume every day, especially those who like me have high blood pressure and diabetes”. She continued to say: “You know that we know what to do, but it is hard, but now when I go to the store I prefer the garlic or onion powder instead of the salt versions”. The rest of the group started to make comments about the class we had earlier about cutting the salt….. I was very please to noticed what they learned about sodium and that they were willing to make changes. During the Holidays we will prepare all of our favorite recipes and some of them will call for salt. Try to reduce the amount you use by a 1/4 or a 1/2 There are many spices we can use instead, for food preparation. Some examples include the following: allspice for tomatoes, cayenne for vegetables, cloves for winter squash and holiday drinks, ginger for poultry, basil for vegetables and pasta salad, oregano for pork, rosemary for cauliflower and tarragon for potatoes. Which one is your favorite? A couple of hints should be considered. If you are trying new spices to prepare your recipes make few changes until you discover if you like the taste. Buy a few, especially because they tend to be expensive. Consider a visit your local dollar store where you can find a good variety at a good price. Keep your spices in a dry place and try to use them within a year. They will also last longer if you store them inside the freezer. Prepare your stews, soups, salads and sauces a day ahead so the flavors can blend. Since we are about too celebrate the holidays I have a little treat for our readers. 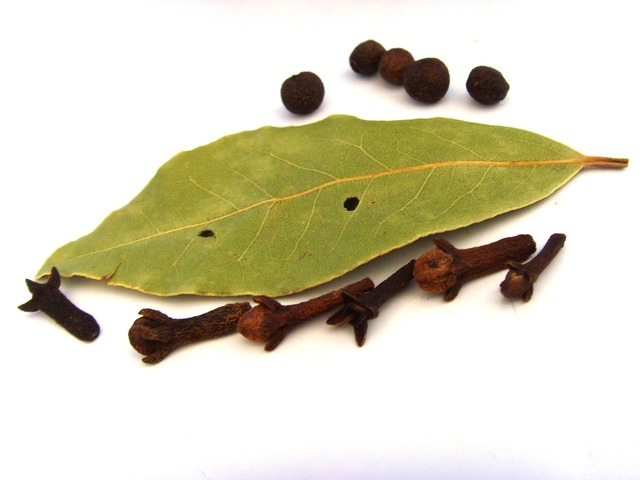 If you post a comment on our blog mentioning which one is your favorite spice and how you use it, you will be enter in a drawing of a set of spices, courtesy of bilingualopinions! Let’s the spices flow and happy cooking!!! 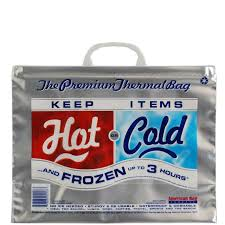 Keep it hot or keep it cold! For many this is the favorite time of the year. The leaves are changing, and for the most part the weather is gorgeous. Also is that time of the year when we go to festivals, family events and celebrations. There are not meaningful celebrations without food! We are probably getting ready to cook for a big crowd and even thinking about sending food to relatives and friends who live far away from us. One of the most common requests for information we received at the Extension office is related to food handling and preparation. We would like to review very important tips in order to keep our food safe and prevent getting sick during the holidays. • Cooked food can last in the refrigerator for about four days. If you are planning to use it longer than that you should freeze it. • The best way to freeze our food is to store it in shallow airtight containers, use the food within three to four months. • If you thaw meat or poultry in the refrigerator you can re-freeze it. The quality might decrease, but it will be safe to eat. • If you are buying any foods over the mail, make sure that is sent to you following the appropriate recommendations. The most important one is to keep the food out of the danger zone: between 40F and 140F. If is cold keep it lower than 40 degrees and if is hot it should be kept higher than 140F. • When you keep your food hot for too long, it might get dry. It is better to refrigerate it and reheat it when is time to serve it. If you are preparing a delicious stuffed turkey and the guests don’t get to your house on time, it is better to remove the stuffing and refrigerate it until is dinner time. • Do not leave food at room temperature for more than two hours, if the temperature is above 90 then put the food away at one hour. Enjoy the holiday season and don’t forget to handle your food safely. For more information contact your Extension office at 404-298-4080.